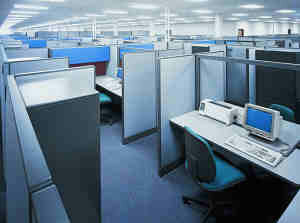 We understand that businesses owners want to provide a clean and healthy environment for your customers and employees. But you also need a cleaning method that won’t disrupt your business operations. For more than three decades Chem-Dry’s aggressive research and development program has developed state-of-the-art equipment and groundbreaking cleaning solutions that enable us to deliver a deeper, longer lasting, healthier clean and faster dry times for businesses around the world. Similar to using club soda to remove stains from a shirt, Chem-Dry has evolved the concept of using the power of carbonation to lift dirt, stains and grime to the surface of carpets and fabrics where they can be easily removed by our powerful extraction equipment. Because our process uses so much less water than other methods, we can deliver much faster drying times along with less risk of mold and mildew growth that comes from using excessive amounts of water, leaving you with a healthier work environment. At the foundation of our healthier, more effective process is a green-certified carbonating cleaning solution called The Natural. The Natural contains no soaps, detergents or harsh chemicals, so it provides a completely safe and non-toxic business environment for your employees and customers. Our carbonating cleaner produces millions of tiny bubbles to break up the dirt and grime trapped in your carpet and fabrics and lifts them to the surface. Because the bubbles do most of the work for us, we are able to use 80% less water than typical steam cleaning. The result is that your carpets and fabrics dry faster, in just a few hours instead of 1-2 days, causing minimal, if any, disruption to your business operations. And the risk of mold and mildew that excess water can cause is eliminated. When your business partners with Chem-Dry for your carpet and upholstery cleaning needs, you can be confident that you are getting the best. That means the safest and most effective cleaning solutions, industry-leading equipment, faster dry times, highly trained professional technicians and a service network that creates a one-stop-shop for a consistently high level of support to all of your business locations.